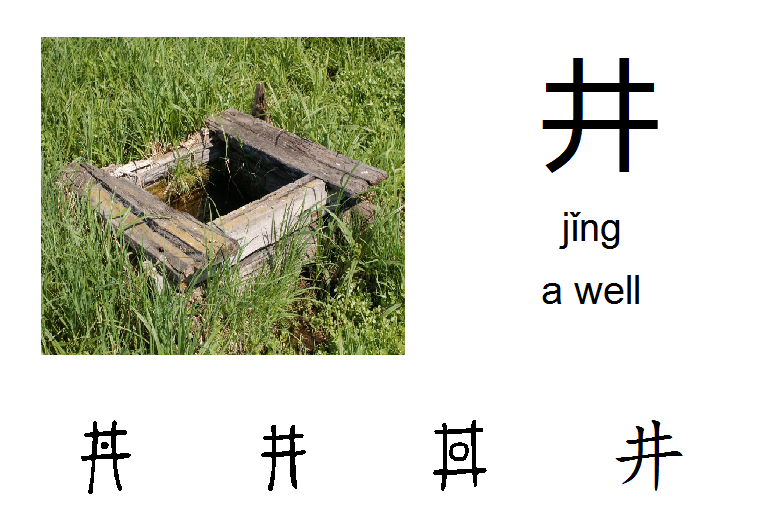 The ancient form of 井 is in the shape of the opening of a well with surrounding stone or wooden work for safety. The 3rd and 4th strokes of 井 go cross the 1st and the 2nd horizontal strokes. NOTE! Be aware of the difference between 井 and 开.